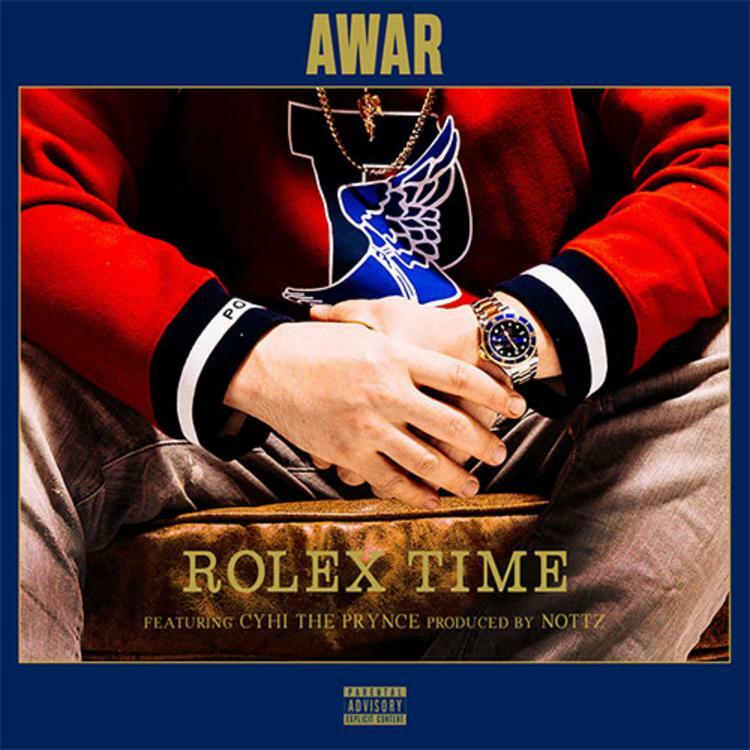 CyHi The Prynce Joins AWAR On "Rolex Time"
Home>New Songs>AWAR Songs> CyHi The Prynce Joins AWAR On "Rolex Time"
AWAR comes through with his latest cut off of "Spoils Of War." AWAR has been gearing up to release a new project over the past few months. From what he's dropped so far, we could only expect pure fire from his upcoming project, Spoils Of War. The rapper shared his heavy single, "Bricks Like '86" which featured two members of the legendary LOX, Jadakiss and Styles P. Now, AWAR seeks assistance from the G.O.O.D Music camp as he taps CyHi The Prynce for his latest track, "Rolex Time." AWAR and CyHi The Prynce go off on their new single, "Rolex Time." The song, which was produced by Nottz, serves as the latest single off of Spoils Of War. The two of them snap over sample-heavy production while flexing their lyrical prowess. It's another dope record from AWAR. Keep your eyes peeled for Spoils Of War which drops on October 26th. Belly Drops Off New Track "Xion" Ahead Of "Immigrant"
Joe Budden, KXNG Crooked, Joell Ortiz, & Royce Da 5'9" First Connected On "Slaughterhouse"
SONGS CyHi The Prynce Joins AWAR On "Rolex Time"